Miriam L. Campanella is a Senior Fellow at ECIPE, and a former Jean Monnet professor at the University of Turin. 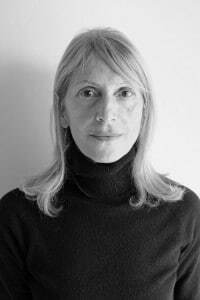 Between 1980 and 1994, Professor Campanella was based at the MIT Centre for International Studies, where she conducted research on general system theories and the economics of complex systems. In 2001, she was appointed at the Cabinet of Minister’s of Economy and Finance in Rome. In 2008 she returned to the University, where she began a research program on the geo-political shift to the East, as well as the unconventional monetary policies of Western central banks. In parallel to her research activities, Professor Campanella has taught in Europe and in the USA. With a Fulbright Professorship at the University of Pittsburgh, and a Jean Monnet chair at the University of Turin, she taught courses on the EMU; these were in English and designed for Erasmus students. Since joining ECIPE, she has published several papers on China’s monetary and financial policy, and in particular focused on the internationalization of the Renminbi, the usage of Forex reserves, and core-emerging central banks new dynamics. Additionally, she is extensively involved in the international scientific community, and has participated in the ISA conventions and worked with both the Graduate Institute of International and Development Studies, and Shanghai Research Development Foundation. She is regularly interviewed and contributes to several media outlets including the East Asia Forum, Caixin (English and Chinese Editions), the China Policy Institute, the Eurasia Journal, the EU Bulletin, and the North Africa Post. Is the euro ready to play the global currency role? A market-based RMB. What does it mean for China and the international economy?